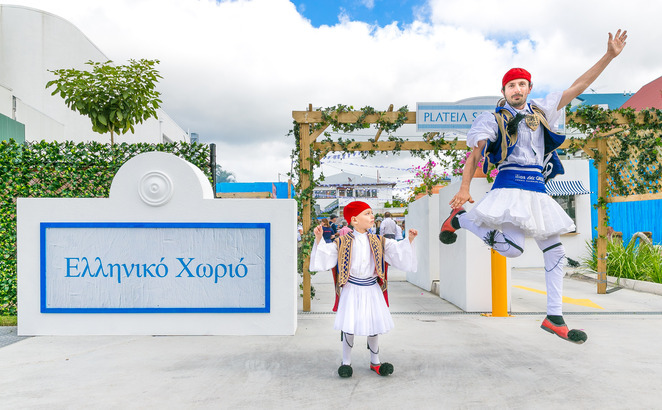 Paniyiri Greek Festival, Queensland's signature celebration of all things Greek, makes a welcome return to Musgrave Park on the weekend of 18 & 19 May 2019. Get your friends and family together and enjoy a fun-filled celebration of authentic flavours, faces and culture. 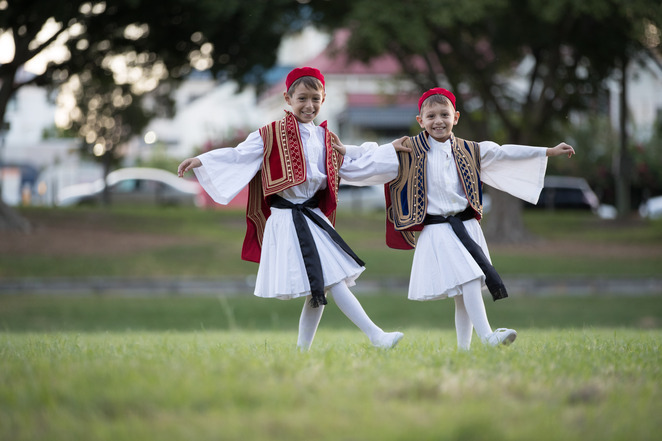 2019 marks the 43rd annual event and also commemorates the 90th anniversary of the Greek Orthodox Church of St George in Queensland with dancing tributes and a special lecture by author and broadcaster Richard Fidler, host of the national ABC program Conversations as part of the Cultural Program. All your favourites are back too, including the return of the traditional Greek village in the Plateia, a Dance Spectacular on Saturday evening, opening with a stunning Bouzouki tribute, and a standout cooking program headlined by international Greek superchef Dimitris Katrivesis! In a first for Brisbane, Nostimo Greek restaurant will feature Greek Yum Cha for the whole weekend! 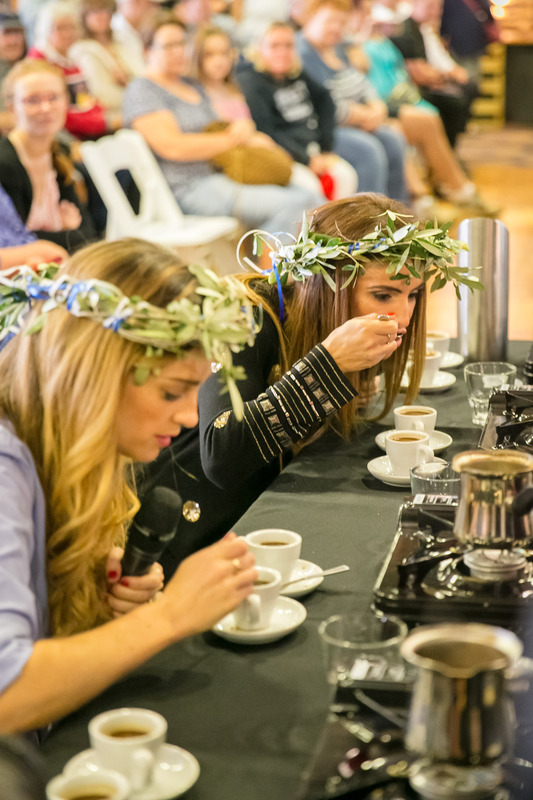 This year is also significant as Paniyiri Greek Festival becomes the first major event in Queensland to begin the journey to become totally compostable. All food will be served on compostable packaging and all stalls and stands compliant. The community has joined the Containers for Change scheme, with funds raised from all single-use bottles going to various charities. 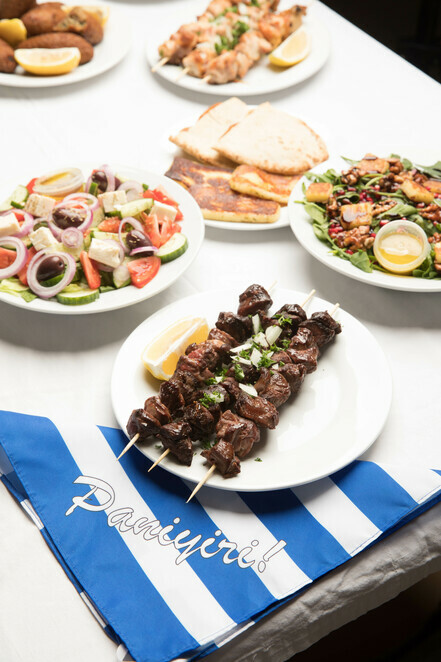 From honey puffs and halloumi to high kicks and Zorba, Paniyiri Greek Festival 2019 will be one big Greek celebration to remember! Check out what's on below! 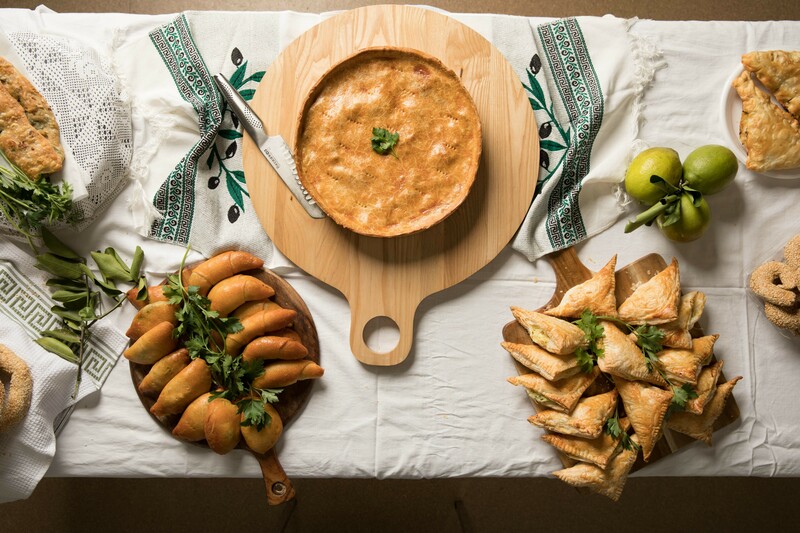 EAT: More than 30 authentic Greek food stalls will showcase the tastes, recipes and secrets from all regions of Greece, including the Aegean, Ionian, Mainland Greece, Cyprus, Chios, Crete, Rhodes and many more. Think Brisbane's favourite sweet treat Honey Puffs, Haloumi, Dolmades, Yiros, Souvlaki, Spanakopita, Keftedes, Moussaka, Baklava and more! Plus, for the first time ever in Brisbane, Nostimo Greek Restaurant will feature two days of Greek Yum Char created by Chef-in-Residence David Tsirekas! THE PLATEIA returns for a third year! Now a MUST SEE, celebrating the sights, smells and tastes of a traditional Greek village while paying tribute to the distinctive Cycladic architecture The Plateia beside the Greek Club serves traditional Greek coffee, frappe and freddocinos, and is home to traditional Greek Taverna with lamb, pork and chicken cooked over coals, as well as music (DJ– Peter Angelo) and more. It's like stepping into a Greek island village. DANCE: Join the Hellenic Dancers and visiting Greek dancers as they perform the famous Zorba, Sirto, Kalamatiano, Sousta and more. The Main Stage dancefloor becomes the city's hottest, and this year will be home to a Dance Spectacular on Saturday night. Of course, Zorba Musical Chairs and Zorba 'Til You Drop are hugely popular events and will be held on both days! 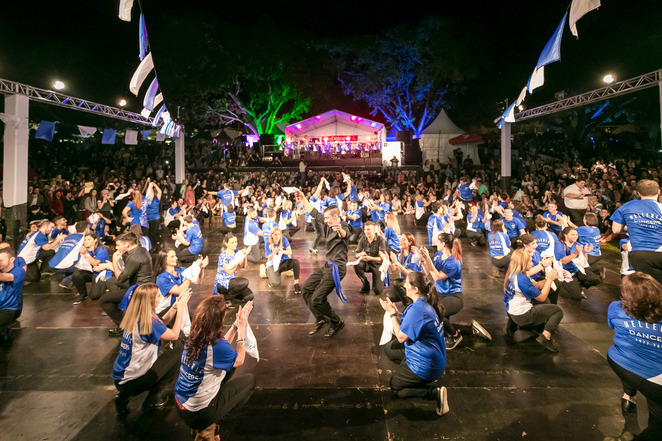 The Greek Dance Spectacular will celebrate the past 90 years in a stunning show of light and dance, featuring the Bouzouki and performers from the Brisbane Hellenic Dancers, Cretan Association, Cypriot Dance Community, the Greek Orthodox Southside Parish George and the Serbian Orthodox Dance Group. More than 60 dancers and dancers will perform a whole range of traditional and modern Greek dances in brilliant traditional costumes and headpieces. Stars Go Greek on the Dancefloor will see celebrities from Channel 7's Home and Away and News, Radio 973 and Radio 4KQ, as well as a number of leading Brisbane personalities, learn and perform Greek dances! More than 15,000 people are expected to watch as these celebrities put their best feet forward! GREEK'S GOT TALENT: If you can sing, dance, recite poetry, perform magic, improvise a great story or have your own special gift, then Paniyiri organisers want you for the 2019 Greek's Got Talent competition (and no, you don't have to be Greek to enter!). Heats will be held at 2.35pm on Sunday at the Channel Seven Arena, with the finals at 5.35pm on the Main Stage. COOKING PROGRAM: The famous Greek Cooking Demonstration Program features two days of culinary indulgence and education, food tasting and launches hosted by some of Queensland and Australia's best Greek chefs and home cooks, with visiting celebrities also taking part. Greek superchef Dimitris Katrivesis, joining our own Chef David Tsirekas and George Diakomichalis, and, in a first for Brisbane, Nostimo Greek restaurant will feature Greek Yum Cha for the whole weekend! Joining the three will be Two Greek Girls, Voula's Kitchen, Elizabeth Colby from Can Cook, The Fish Factory, Voulla Fronis and Tsambikas Manettas from EarthMarkets, Sonia Patrikios from The Little Organic Co, Greek mother and daughter cooks Dimitra and Sia Athanasas (famed for creating the religious memorial cake Koliva), master cook Helen Zeniou, the wonderful cooks from the Ladies Auxiliary of St George (who always share some long-kept amazing culinary secrets! ), the Asia Minor Historical Society and Alexandrea Living. Another newcomer to the cooking program in 2019 Sisina Masinello, a 29-year-old Greek-Italian, who launched her own catering business three years ago after inheriting a passion for food from her YiaYia (Greek grandmother). CULTURAL PROGRAM: In celebrating the 90th Birthday of the Greek Orthodox Church of St George, Richard Fidler, host of the national ABC program Conversations, will present a special lecture on Saturday between 4pm and 5pm. Greek Gospels from the past 90 years will be on display and Father Dimitri Tsakas from the Greek Orthodox Community of St George will conduct tours of the magnificent GOC of St George Church. 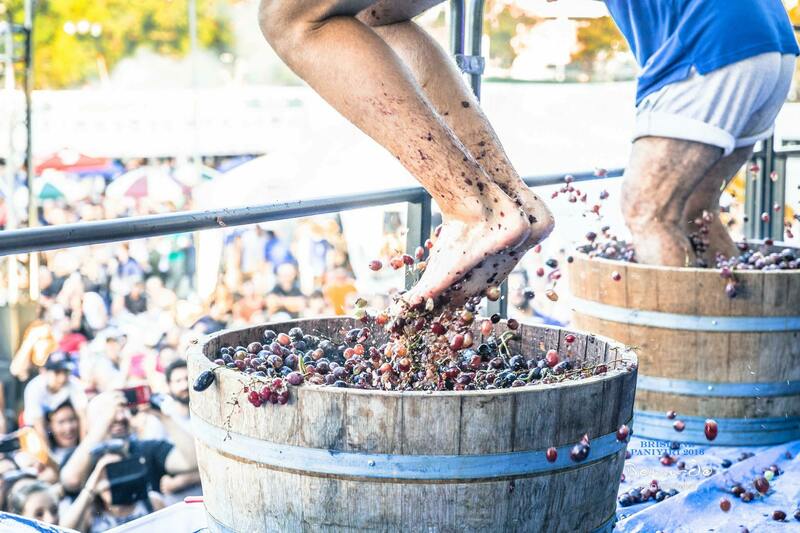 COMPETITIONS: Paniyiri's famous Plate Smashing, Honey Puff Eating and Grape Stomping competitions are all back in 2019, along with for the first time, the Greek Coffee Race Competition where teams are challenged to combine speed and balancing techniques. 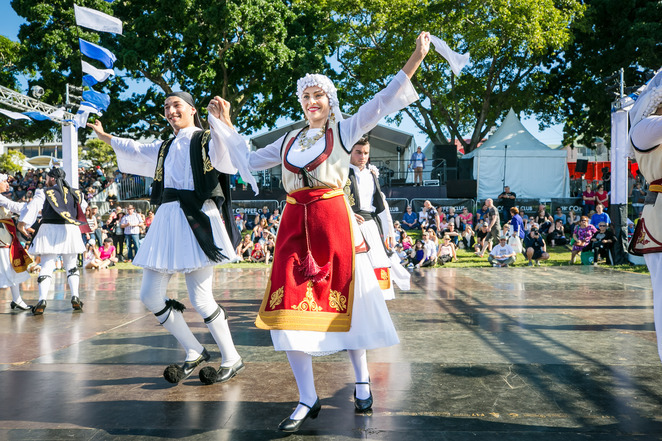 LISTEN: Featuring traditional Greek instruments including the bouzouki, tarabuka, lira and laouto, Paniyiri stars a soundtrack of traditional and modern music over the two days – check out the Main Stage, Channel 7 stage and throughout the Cultural Program. 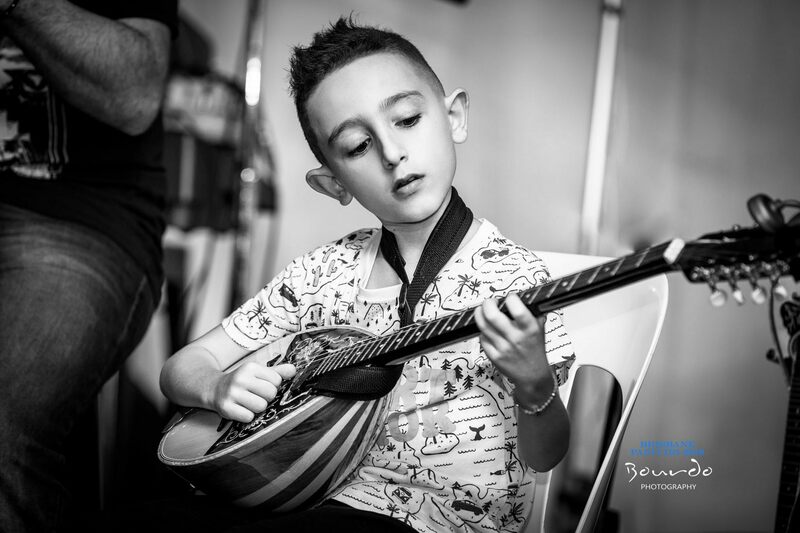 A highlight this year will be the Children's Bouzouki Performance on the Main Stage on both days starring five young performers. PLAY: The kids can get creative in the FREE Kids Zone area with art, craft and games all themed around a Birthday Party this year! Also features free Hellenic Dance workshops! 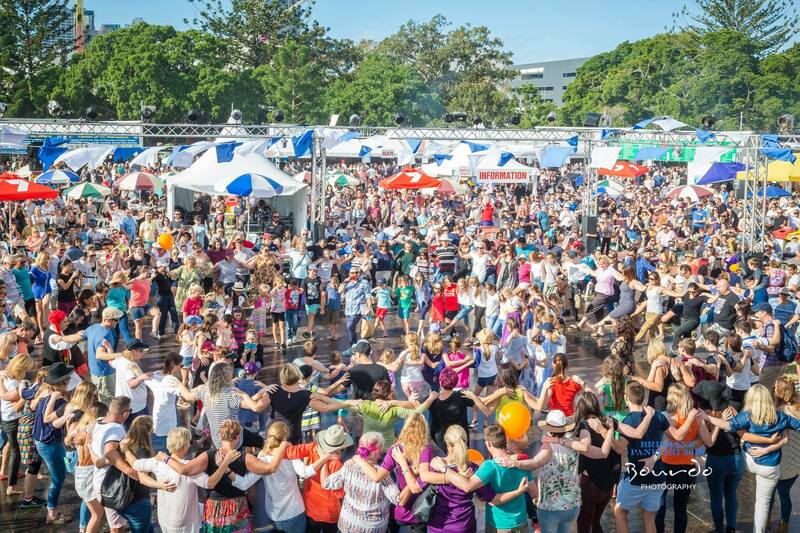 Over four decades, Paniyiri Greek Festival has grown to become the state's largest cultural festival as well as the country's longest running Greek festival – an admirable success story for the celebration that started in 1976, when a group of passionate Greek Australians wanted to share their cultural traditions with the wider Brisbane community. Fast forward to 2019 and this kaleidoscopic cultural explosion is legendary. 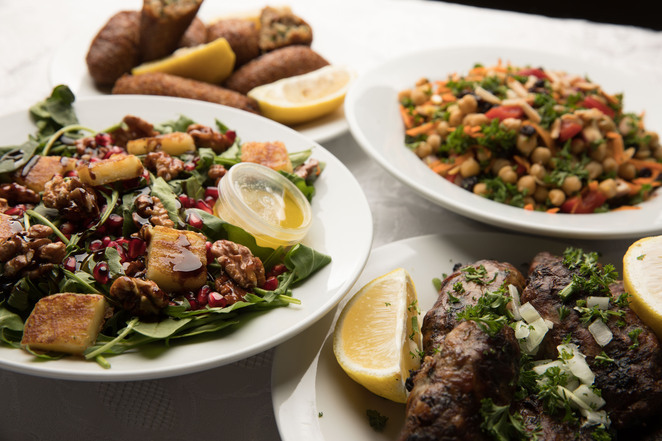 More than 60,000 are expected to celebrate over the weekend of May 18 & 19 and down some 300,000 honey puffs, more than 100,000 souvlakia, almost 12,000 dolmades, 20,000 coffees, 1,600kg of grilled halloumi, 10,000 shiftalies (Greek sausage) and 1,000kg of calamari. Available online and at the gate. Transport: Travel FREE with a pre-purchased Paniyiri Greek Festival ticket to the event on all regular network-wide Brisbane City Council buses and Queensland Rail City Network trains (excludes Brisbane City Council ferries, the G: and Airtrain service). Plan ahead at www.translink.com.au or call 13 12 30. Paniyiri is a community initiative of the 25,000 strong Greek community of South East Queensland. Funds raised are channelled back into the community via the Greek Orthodox Community of St George, Brisbane. It is Brisbane's oldest Greek community established in the 1920s. Lovely Article Vanessa - very comprehensive. Thought of doing one but I think you have covered everything. Some additional speakers for the Cultural programme so once finalised I might come back to that !